Averi Apartments has been recognised for its modern reinterpretation of a planning envelope. Averi breaks the mould of higher density models, exhibiting an innovative layering concept. 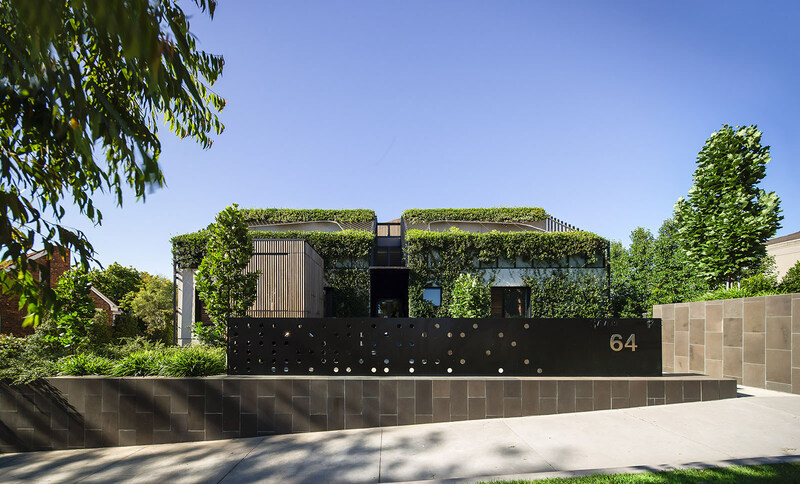 Landscape playing an integral role to the architectural solution, its abundance creates a lush habitat and private dwelling experience with a distinctive look. Mercedes Me has been cited as being an exemplary example of a hospitality fit-out which successfully supports multiple modes of occupation, a space which seamlessly moves between café, bar and a multi-purpose events area. Every aspect within the interior is meticulously designed and executed to functionally support flexibility, whilst recognising and reinforcing the ethos of the Mercedes brand through bespoke detailing and craftsmanship. In addition, Longsong was shortlisted in the Heritage category. Our entry highlighted our desire to touch the site lightly, to capture an important chapter of Melbourne’s history through a series of gentle interventions that amplify its character and spirit. Longsong exhibits a consideration for the past which enriches the buildings history, functionality and aesthetic. We were honoured to be recognised by the Australian Institute of Architects and we thank the juries for their generous appreciation of our projects. Congratulations to our clients, consultants, builders and collaborators who contributed to realising these exceptional outcomes.